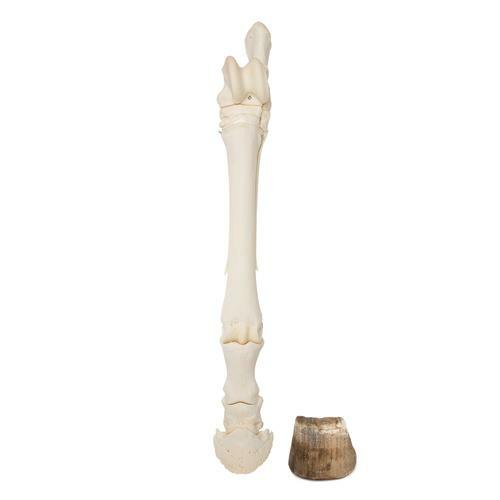 This Equine Foot illustrates the anatomical differentiation of a equine mammalian foot/hoof for classroom display and demonstration of anatomical structure. Prepared, real, front or rear horse foot. (Random) Up to the carpal or tarsal joint. The bones are rigidly connected to each other. The hoof capsule is supplied separately with the foot. * Leg skeleton with shoulder blade of dog.